Imagine how fascinated she/he will be when receiving your creative audio story telling your love story or your interview provides an overview of how you felt when you guys met, how you felt as the relationship progressed and how you feels now about the love of your life. 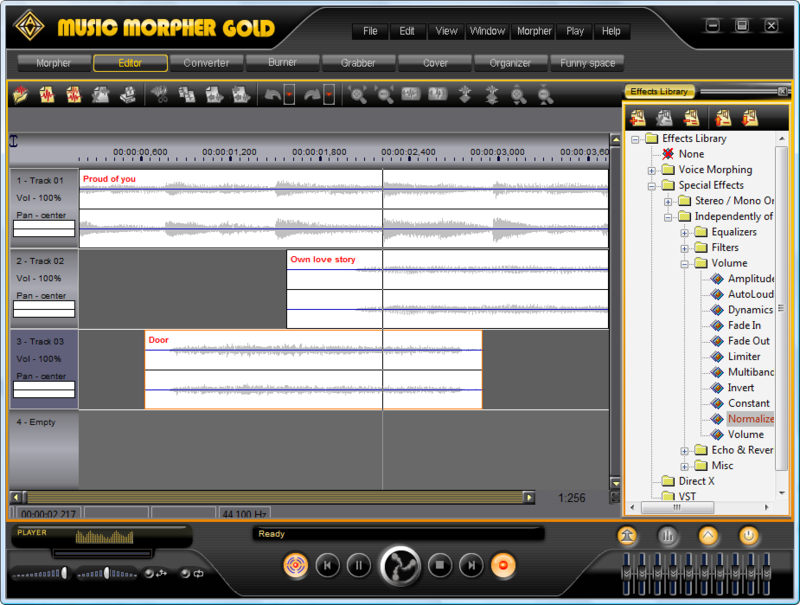 And the below content would be enough to guide you on how to make it - a love story by your own with a voice changer software and a music editor called Music Morpher Gold (this could be any other music editor that support multitrack-editor). 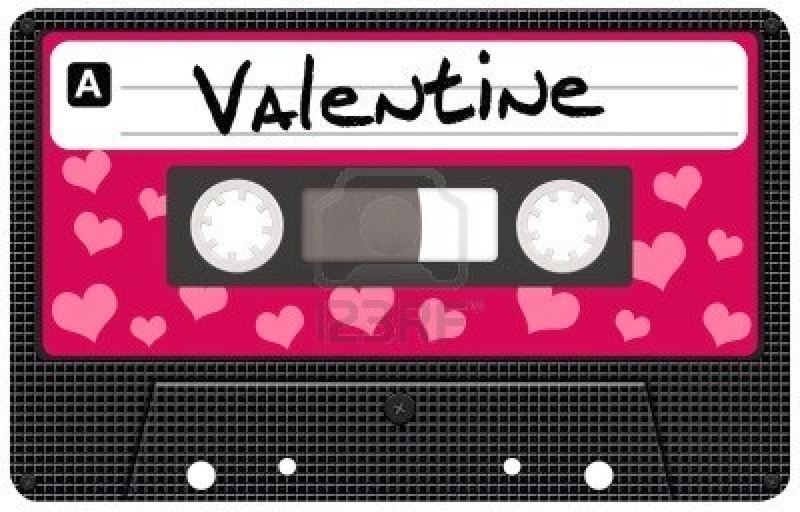 Find a romantic or touching story script or just tell yours, then do the recordings. It is recommended that you should record only a short clip each time for flexible editing later. 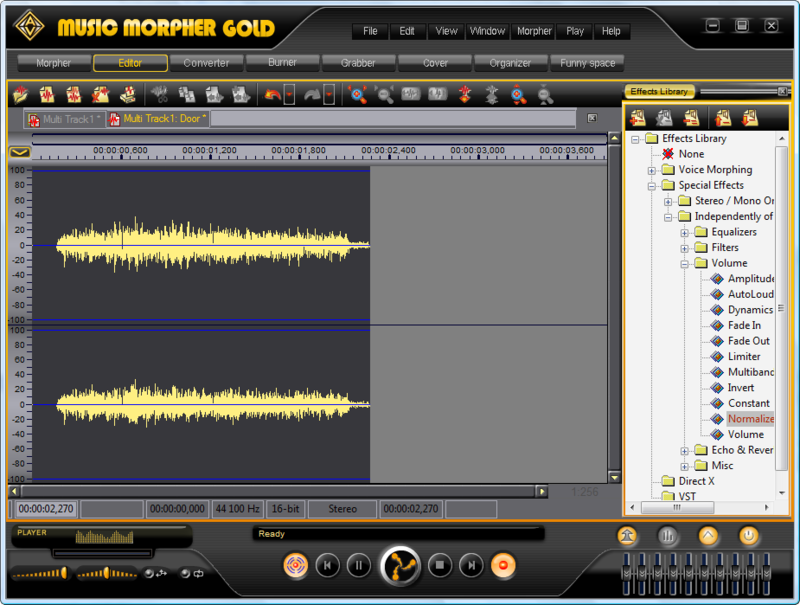 The recordings can be made with any audio recorder (e.g, Music Morpher Gold's built in recorder, Free Audio & Sound Recorder). 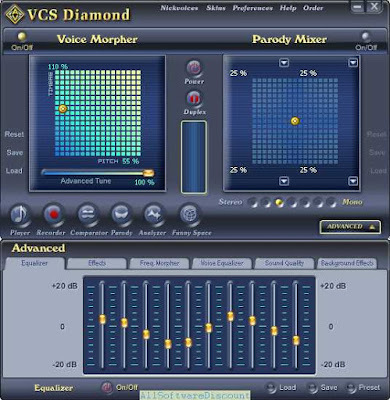 However, if you would want to apply a little bit effects onto your vocal, the built-in recorder of Voice Changer Software 8.0 Diamond (VCSD8) is highly advised. 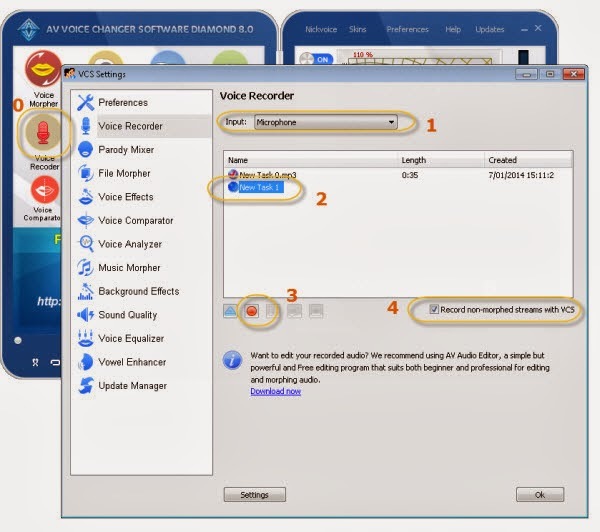 Hit the Voice Recorder (0) icon on the Left panel of the program to open Voice Recorder window. Select New Task 1 (2) icon. Hit Record (3) icon to start recording. - Click on New Multitrack Session (2) icon to create new document. - Select document's sample rate as 44100 (3). - Right-click on each track line (e.g., Track 01, Track 02, Track 03) and select Add New Clip From File… to browse for and then insert your recorded clip into the track. - You may hold down the right mouse button on the track to move it along the time line. 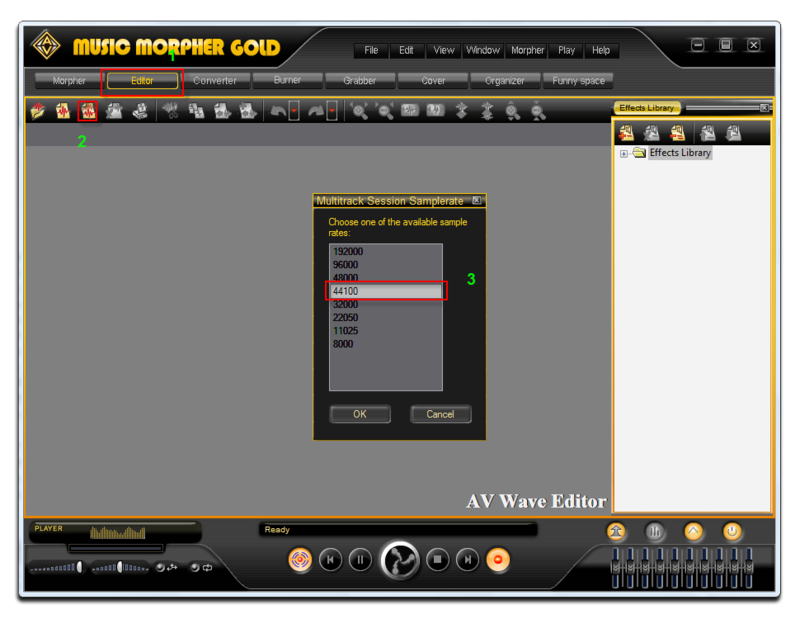 - If you want to make modification on a single track, just double click on that track to load it outside the multitrack to edit..
- Even in Music Morpher Gold, you are able to add effect(s) to make your message with a huge library of built-in effects from the right panel of Multitrack editor zone. And, make sure that you reserve a track for background audio only to make the story more interesting. As soon as you finish the task, you can now upload and share it to your loved one. How can I record a session? Is there a software that can record his voice and my voice at the same time? please. I'm on Skype with some others, while we play Second Life. I want to record what I'm doing with in game sound only, so therefore i have set it to "VAD" sound. Should not option 1 only record the game and not anything else? That's never been possible with any software without using a hardware mixer or a virtual cable. I'm having problem when i use Yahoo.. Does not record my voice, but record my friend voices. Make sure turn Preview mode on so you can listen to the conversation.